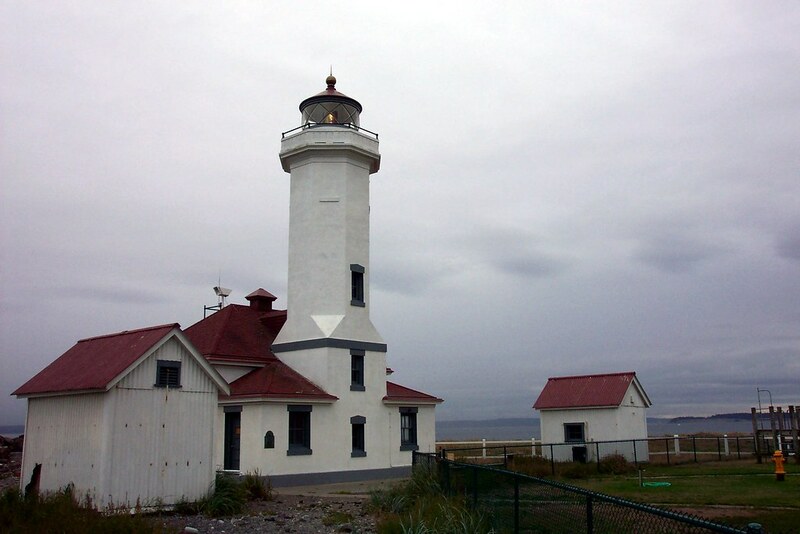 Trip number four to Washington state. Riley turned 1 year old! 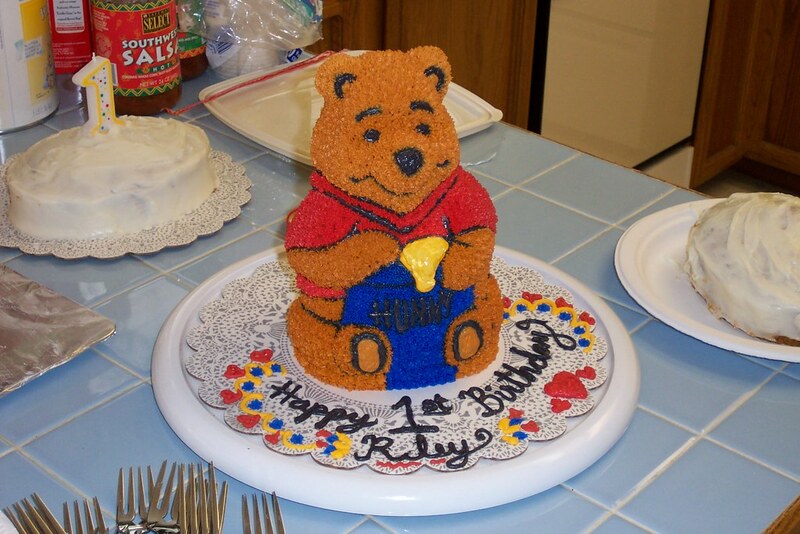 Heidi had taken up cake decorating and made Pooh Bear and Tigger cakes. 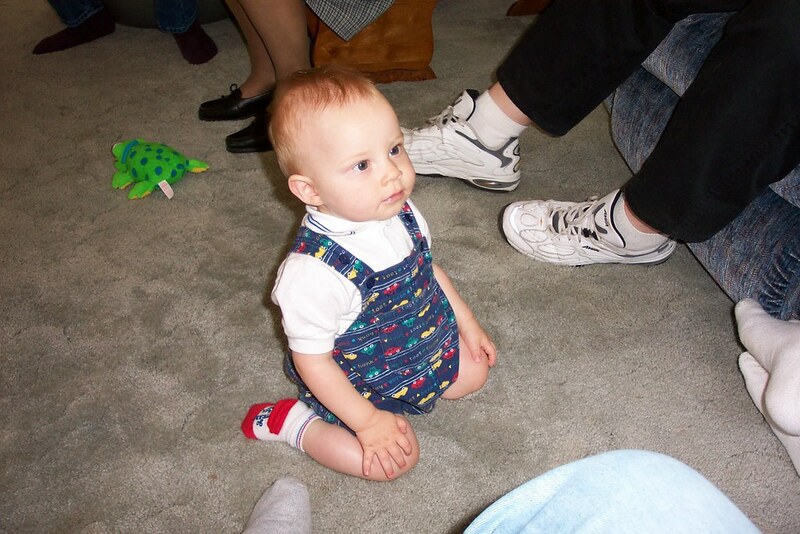 Sitting up, but not yet walking, Riley was celebrating his first birthday. 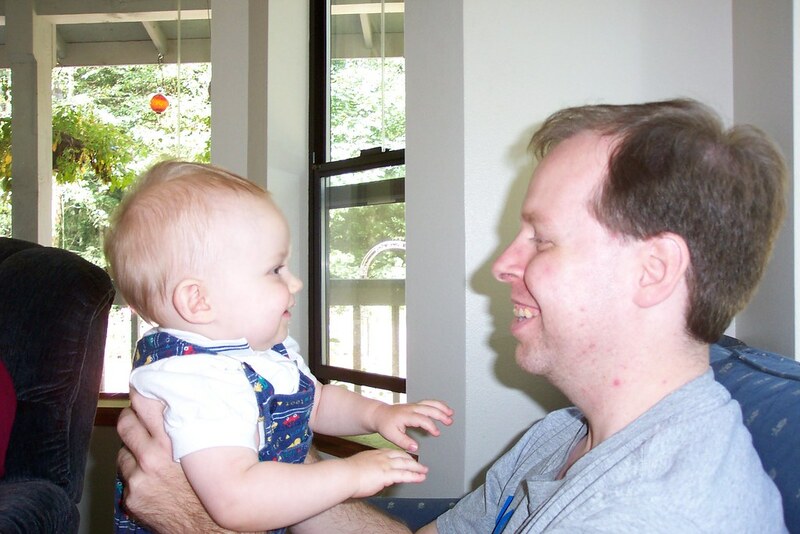 Riley seemed to have taken a big liking to me early on. The results of Heidi's cake decorating training. 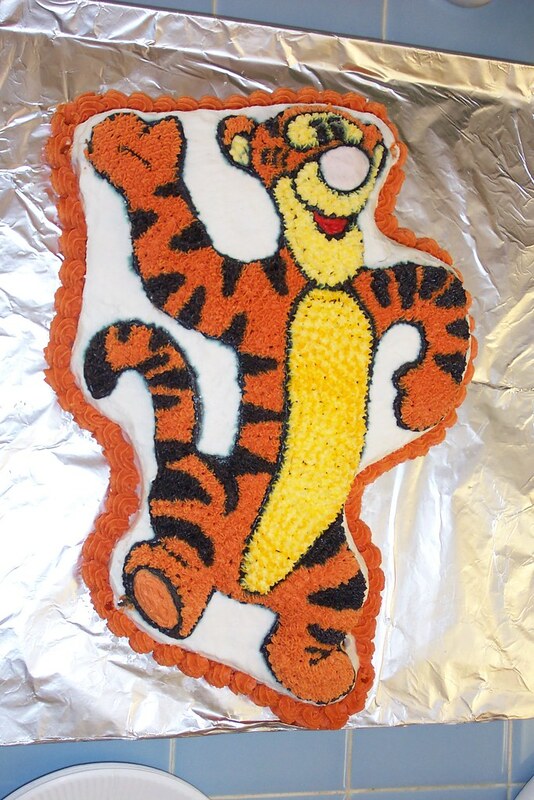 And, of course, what would Pooh be without Tigger? 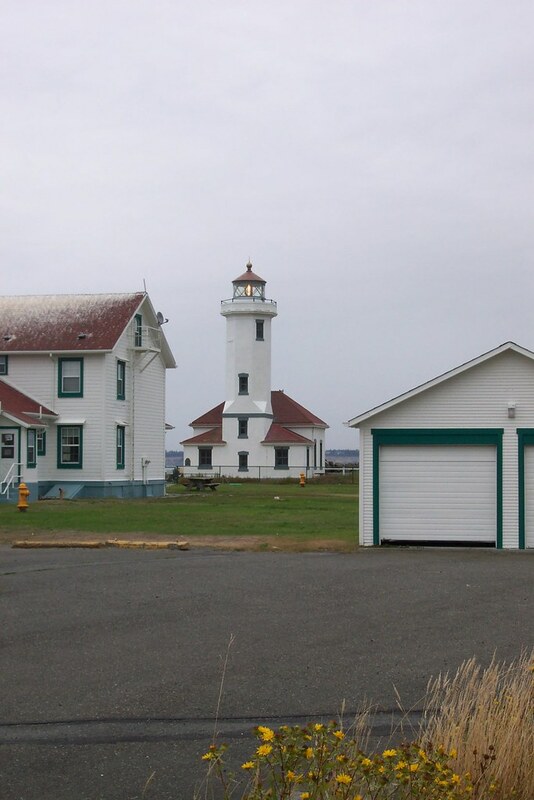 During our vacation, we took a trip to Fort Worden and the neighboring Point Wilson Light. This shot was the first glimpse as we were walking the trail. Approaching the Point Wilson property. 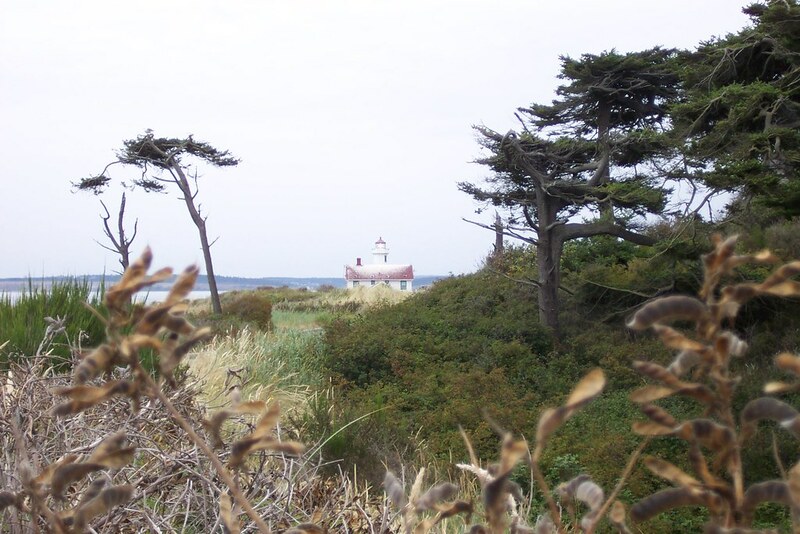 We weren't initially sure whether anyone could get close to the lighthouse, but the trail leads around the fenced property for a close-up look.